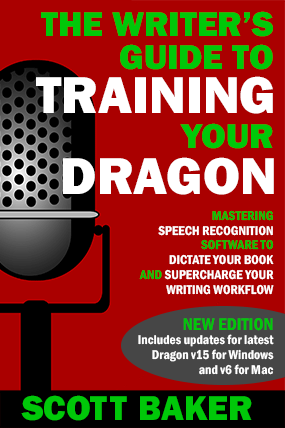 If you’ve purchased my book, “The Writer’s Guide to Training Your Dragon“, or enrolled on my courses – thank you! 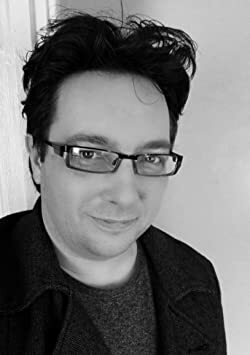 I hope you’ve found my work really useful and are that little bit closer to not only mastering Dragon but transforming your writing workflow. As promised in the back of the book, here are a list of resources that you may find helpful. This is by no means exhaustive; I will add to this list (and remove items that are no longer available or relevant) over time. Please do not take any of these product links as recommendations – you have to work out what is best for you and your setup, but these are generally products that I have found work well as part of a reliable dictation solution. A quick disclosure: I have provided links to many of these products on Amazon.com or Amazon.co.uk for your convenience. Purchasing any items from these links will generate a small commission to myself that will be used purely to continue to provide free resources via this site. Many of these products are available at other retailers. Dragon Professional Individual v15 (Amazon.com, Amazon.co.uk) – The latest version of the Dragon software drops the “NaturallySpeaking” name and introduces the new “Deep Learning” speech engine. Includes features aimed at enterprise users plus the ability to batch transcribe multiple recordings. Dragon NaturallySpeaking for Windows Premium v13 (Amazon.com, Amazon.co.uk) – despite being released in 2014, this is still the current ‘consumer’ version of the Dragon software for PC. The Premium version supports transcription (Home does not and, while cheaper, cannot be recommended). It is suitable for most users. NOTE: As of Sept 2018, this has now been discontinued by Nuance and will no longer receive updates. Consider v15 instead. Dragon NaturallySpeaking for Windows Premium v12 (Amazon.com, Amazon.co.uk) – this should update to version 12.5 upon installation and is a cheaper option for computers running older versions of Windows. This is not guaranteed to work in Windows 10 and there are not likely to be any further updates to this version. 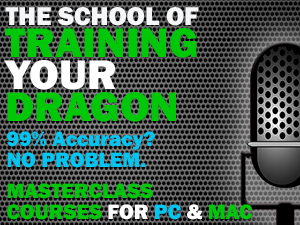 Dragon Professional Individual for Mac 6 (Amazon.com, Amazon.co.uk) – this is the current software for Mac users, signalling yet another name change, and uses the same ‘Deep Learning’ speech engine as v15 for PC. It was extremely buggy upon release but the latest version 6.0.8 update has finally made it both usable and stable. NOTE: As of Oct 2018, Dragon for Mac has been discontinued by Nuance and there will be no further versions or updates. Consider v15 for PC via a Boot Camp/VMWare Fusion/Parallels Desktop installation instead. Dragon for Mac 5 (Amazon.com, Amazon.co.uk) – this is the previous version of the Dragon software for Apple Mac computers (stable with version 5.0.5 update). Nuance has dropped the “Dictate” from the name. Guaranteed to work with OS X El Capitan. No further updates likely; macOS Sierra users may need to look at v6 despite stability issues. Dragon Dictate for Mac v4 (Amazon.com, Amazon.co.uk) – this version of Dragon may still work with your Mac (especially on OS X Yosemite) and v4 is now significantly cheaper than versions 5 & 6. Be aware, however, there are unlikely to be any further updates to this software. Parallels Desktop for Mac – v13 (Amazon.com, Amazon.co.uk) & v12 (Amazon.com, Amazon.co.uk) – I firmly believe the best way to dictate on your Mac is to use the PC version of Dragon. While there are other virtualisation solutions for running Windows on your Mac, I have found Parallels Desktop to be the simplest and most elegant solution. Version 12 is fine for Sierra and below; for High Sierra, use the latest v13. Blue Yeti (Amazon.com, Amazon.co.uk) – an extremely high quality USB desktop microphone that gives excellent results in Dragon. Useful if you will be using it for other purposes such as music recording or podcasting. The best bang-for-your-buck mic on the market, in my opinion. Blue Snowball iCE (Amazon.com, Amazon.co.uk) – again, very high quality USB desktop microphone that is much cheaper than the Yeti. Only has a cardioid pickup pattern, but this is all you will need for Dragon. Rode NT-USB (Amazon.com, Amazon.co.uk) – my daily mic of choice. This has even better background noise reduction than the Yeti, making it ideal if you also want to use it for recording audiobooks, podcasts etc. Includes an excellent pop filter. Audio-Technica AT2020USB+ (Amazon.com, Amazon.co.uk) – Very similar to the Rode NT-USB but slightly cheaper (no pop filter included, though). Speechware TableMike (Amazon.com, Amazon.co.uk) – incredible accuracy at a price. If you demand 99% or higher recognition from Dragon, this will do the job. Plantronics Blackwire C310 (Amazon.com, Amazon.co.uk) – excellent but inexpensive noise-cancelling monaural headset, ideal for use with Dragon. For those who prefer, stereo, try the C320 (Amazon.com, Amazon.co.uk). Andrea NC-181VM USB (Amazon.com, Amazon.co.uk) – another quality monaural headset from a proven name in the speech recognition field. Andrea NC-181 Analog (Amazon.com, Amazon.co.uk) – analogue version of the above headset for use with 3.5mm-input voice recorders. Blue Raspberry (Amazon.com, Amazon.co.uk) – Superb accuracy and portability, compatible with both USB for PC/Mac/Android (with a USB OTG adapter) and Lightning for iOS. The best mic of this type I’ve ever used, but pretty expensive. Samson GoMic (Amazon.com, Amazon.co.uk) – extremely portable USB microphone, handy for using on the move with a laptop or compatible tablet. Will provide significantly better audio input quality than your built-in microphone. Blue Icicle (Amazon.com, Amazon.co.uk) – a handy and highly portable USB adapter that will allow you to use any XLR based microphone with your PC or Mac. AKG P5S Super-Cardioid Mic (Amazon.com, Amazon.co.uk) – good quality, robust XLR microphone. Simply add a USB adapter like the Blue Icicle and cables of any length you wish. Choose this if you want to walk around the room using a handheld mic as you dictate; this model features a super-cardioid pattern for better noise cancellation and an on/off switch on the barrel of the microphone itself. Pop Filter (Amazon.com, Amazon.co.uk) – inexpensive and does the job. Fits most desktop mics, including the Blue Yeti (despite the description stating otherwise – trust me, I’ve tried it!). Neewer Suspension Boom Arm (Amazon.com, Amazon.co.uk) – Roughly 15% of the price of the Rode. Quality not as good but does what it says and is more than sufficient for most users. Deadcat Wind Filters: Regular (Amazon.com, Amazon.co.uk) & Mini (Amazon.com, Amazon.co.uk) – Yes, that’s what they are called. Yes, they look silly. These are essential, however, for any dictating outdoors. Use the mini versions for lavalier and headset mics. Sony ICD PX-370 (Amazon.com, Amazon.co.uk) – a very good, entry-level dedicated voice recorder with built-in USB jack. Includes inputs for an external microphone and headphones. Includes a microSD card slot and recording up to 192 kb per second in MP3 format. Olympus WS-852 (Amazon.com, Amazon.co.uk) – excellent quality MP3-format recorder from an established brand in this field. Smart Voice Recorder (Google Play) – an excellent (and free) recording app for your Android smartphone. Includes the ability to customise your microphone input level and set the quality of your recorded file. Voice Record Pro (iOS App Store) – for iPhone and iPad users, this is much more fully-featured than the stock recording app and allows comprehensive cloud storage upload options. Nuance approved equipment – a huge database of microphones and recorders recommended by Nuance for use with Dragon software. Be warned that some of these links are out of date and many of the items are no longer available.